The elegant Eco LED panel impresses by its high CRI, homogeneous light area and low energy consumption. Thanks to the protection class IP65 the panel can also be used in enclosed wet rooms like bathrooms, garages or warehouses. 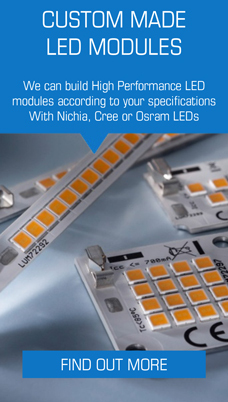 One Eco LED panel has a total of 70 Nichia High-Power LEDs, is as bright as a 60W-bulb and with 70 Watt consumes only approx. 15% of the energy. In doing so, the panel generates hardly any heat and does not require a cooling element. Thanks to the typically high CRI of 85 the colour rendering of faces and skin tones is very natural and agreeable. 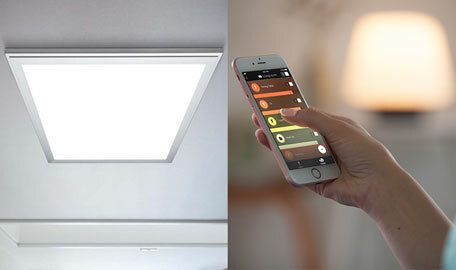 The long durability of the LEDs makes the light panel almost maintenance-free – a clear advantage particularly in areas that are difficult to reach like high rooms or facades, where conventional lamps are extremely time-consuming due to the frequent exchange of dead lamps. The panel can be easily and quickly screwed to the ceiling with the enclosed accessories. IP65: suited for wet rooms, but not for exterior use.